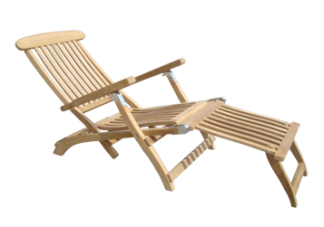 Our Teak Steamer Lounge Chair reclines in five positions, making it great for relaxing, reading or sunbathing. 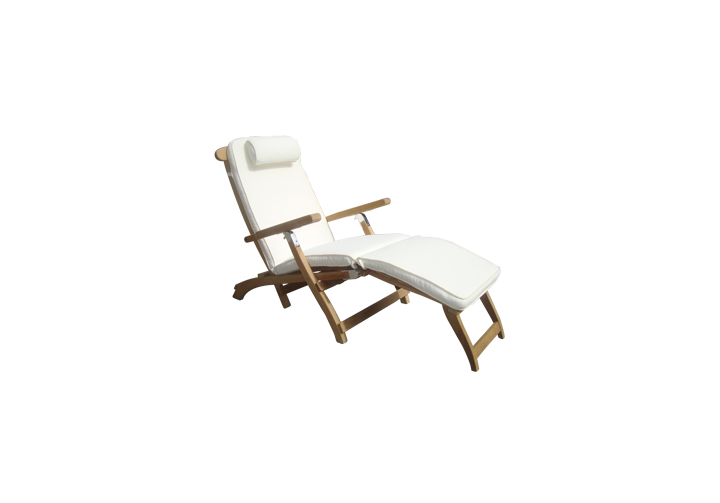 This steamer lounge offers contoured arm and seat panels for maximum comfort. 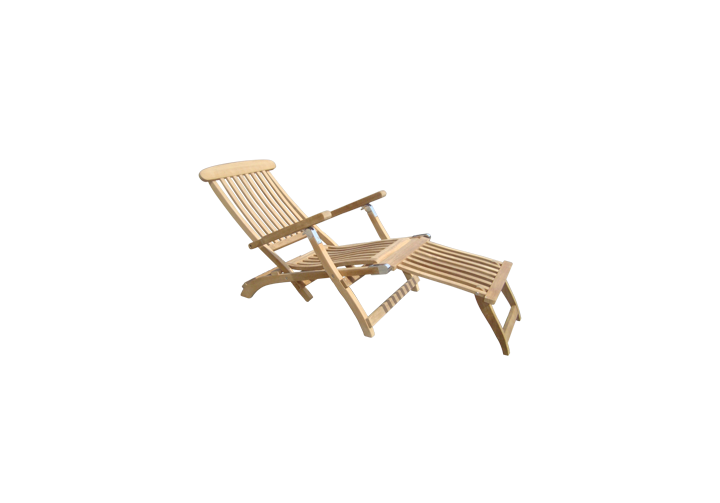 This teak lounger folds flat for easy storage during the winter months and is the perfect addition to any outdoor living space! 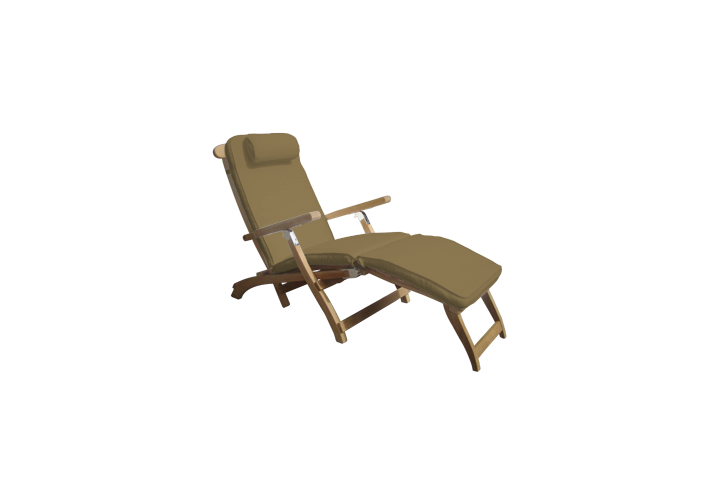 Add a cushion for extra comfort! Our steamer cushion is 2" thick and features a neck roll pillow. Choose a standard hunter green, navy blue, bronze or white cushion, or upgrade to your choice of Sunbrella fabric. There are currently 0 reviews for the Teak Steamer Lounge Chair.